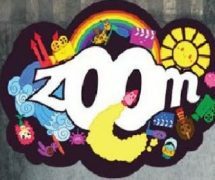 Zoom Cymru present Wales’ International Young People’s Film Festival: Dates announced and submissions open! 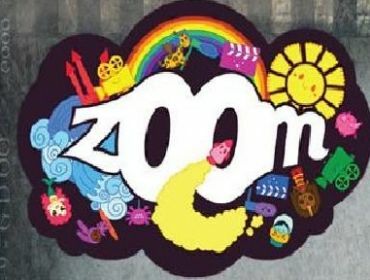 Now in its seventh year, the Zoom Film Festival will build on the success of previous years, which has reached over 10,000 young people across Wales. Alongside a diverse selection of films from around the world, Zoom runs an exciting mix of innovative workshops and masterclasses. Everyday of the festival expert tutors and award-winning filmmakers will deliver engaging and inspiring workshops in acting for screen, animation, low budget film making, make a film in a day, music video production and much more! The announcement of the 2013 Festival dates also coincides with the call out for entries into the 2013 Zoom Young Film Maker Awards (ZYFA), which celebrates films made by young people from across Wales aged between 8 and 25. Films are submitted, shortlisted and selected by the Zoom youth film council and a panel consisting of Industry Filmmakers and organisations. In selecting the winners the panel looks for originality, authenticity and creativity. “Last year we showcased an incredible diversity of short film entries from all over Wales – comedies, music videos, dramas and documentaries and some amazing animations” said Gemma. Zoom’s unique expertise in the delivery of screenings, workshops and activities during the festival strives to enhance film literacy, promote collaborations and broaden horizons, raise aspirations, boost confidence and realise the learning potential of many children and young people. The festival selects a diverse and innovative range of films produced for young people that would not otherwise be screened in the UK and recognises and celebrates cultural diversity and change. The festival also looks to programme films made and set in Wales. This year’s Festival is supported by the Film Agency for Wales, who continue to support the Festival. Zoom also acknowledges the support of a recent successful bid to the Big Lottery that will support the development and growth of Zoom over the next three years.